Kills 98% of existing fleas in less than 24 hours.. Continues killing fleas for an entire month or more.. Remains waterproof for 30 days even if your pet swims or is bathed.. . .
• Kills 98% Of Existing Fleas In Less Than 24 Hours. 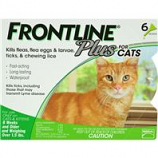 • Continues Killing Fleas For An Entire Monthor More. • Remains Waterproof For 30 Days, Even If Your Pet Swims Or Is Bathed. • Kills fleas within 12 hours of application. 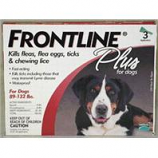 • Kills all flea life stages including flea eggs and larvae to prevent reinfestation. • Safe and easy to apply. • Protects With Igr (Insect Growth Regulator) Pyripoxyfen. • Also Treats, Prevents and Controls Lice Infestations. • Kills 100% Of Existing Fleas In Less Than 24 Hours. 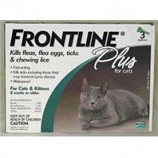 • Continues Killing Fleas For An Entire Month Or More. 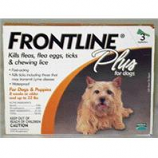 • Approved For Use On Puppies 8 Weeks Of Age Or Older.